The most recognizable name for a neuromodulator is Botox. Botox is a brand name that has become synonymous with neuromodulators, but there are two other remarkable products on the market (Dysport and Xeomin) that we use interchangeably, and/or at the request of our patients. Often Neuromodulators are confused with injectable fillers. Injectable fillers or ‘fillers’ restore volume where is has been lost due to aging or used to contour the face. Neuromodulator treatments target facial lines and wrinkles; typical areas are lines on the forehead, frown lines (the lines in between your eye brows), crow’s feet, and ‘smokers lines’ (above top lip). A neuromodulator is Botulinum Type A, it has been used for cosmetic purposes for 20 years now, and for medical purposes for decades. Medical purposes such as migraines, excess saliva production, cervical dystonia, excess sweating, muscle spasms/stiffness, strabismus and even urinary incontinence…to name a few. It is interesting to note that Botulinum Type A treatments for medical purposes are done on both adults and children, even babies and in much larger quantities that the small amount used for cosmetic purposes. A wrinkle is created by the constant contracting of the facial muscles. A neuromodulator temporarily relaxes specific muscles by blocking nerve impulses. As a result, the muscle relaxes, and the lines created by their frequent contractions soften, gradually fading. Patients in their 20’s and 30’s often opt to start treatment as a preventative measure and may not ever develop those lines. Whereas patients in their later 30’s, 40’s, 50’s, 60’s choose to start using a neruomodulator to stop the progression of the wrinkles. What are the benefits of neuromodulators? What are the possible side effects of neuromodulators? Neuromodulators are one of the safest non-surgical treatments available. The few risks of neuromodulators can be mitigated by choosing an experienced and qualified injector. 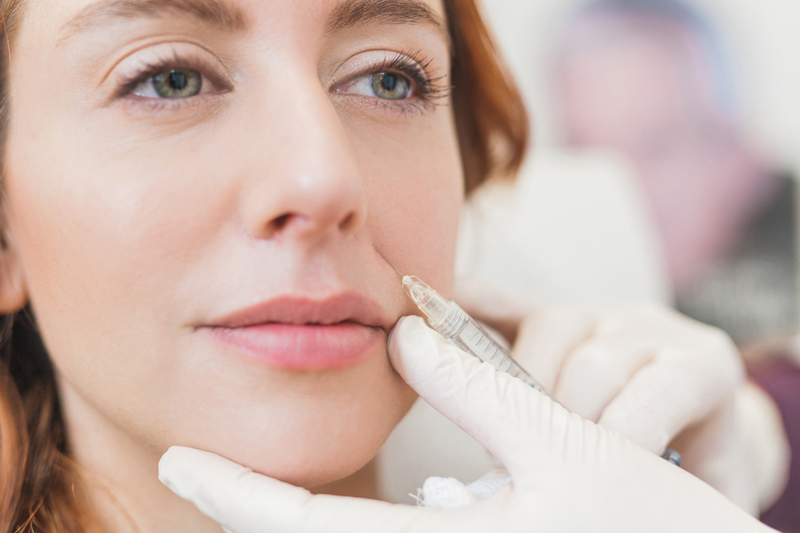 It is imperative to ensure your injector has a comprehensive understanding and thorough knowledge of facial anatomy, specific training in cosmetic injections. Cathy Read-Brule RN, has an exceptionally high level of expertise and is a Certified Aesthetic Nurse Specialist; designation issued to Registered Nurses who have passed a standardized national examination on non-surgical aesthetics. Cathy has an astute eye for aesthetics, puts safety and the patient’s best interest first. At your first appointment with Cathy Read-Brule RN CANS you will discuss what areas are of concern to you, and what you are hoping to achieve with treatment. If you would like to go ahead with treatment, your customized plan will be discussed and approved by one of our doctors. The treatment itself only takes approx. 10 minutes. There may be slight redness at the injection sites, but you are able to return to work immediately after. No down time required. There is a slight risk of bruising, but it can be covered easily or is hardly noticeable. If you are worried about bruising, we generally recommend abstaining from any blood thinning agents such as aspirin, Advil, red wine, omegas etc. in the few days leading up to your appointment. This is not necessary, but if you bleed easily, might be something you would consider. The effects of the treatment will begin to show in about 3-5 days, with full effects in about 7-10 days post treatment. Interested in getting more information regarding Neuromodulators? Contact us to book your consultation.